In order to provide an incentive for kids to not only stay in school, but to excel, Bxs and PXs offer a coupon book containing more than $50 in discount coupons, along with an entry form for a quarterly drawing for three savings bonds, to students in grades 6 through 12 with an overall average of B or higher! Participating students must be in grades 6 through 12 and attending a public or private school, to include DoDDS. If a child is home-schooled, the student should provide written affirmation of their scholastic aptitude from a parent or other community-authorized education provider. Students must present a valid ID card and proof of an overall B average or better in order to participate. Students may receive one coupon package for every grade report they receive, but may enter the savings bond drawing only once per calendar quarter. Coupon books will be distributed from the main exchange. Students will present their latest report card or equivalent to store management, who will then issue one coupon book per student. 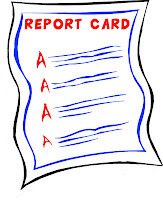 Students may submit one grade report for each grading period as specified by their school system. Stores will record the student's name, report card date and date and grade point average for each submission to preclude multiple awards. Each quarter AAFES Headquarters will award three bonds totaling $10,000 in face value ($5000, $3000, and $2000) based upon a blind drawing held by an independent contractor. Each coupon package described above will contain an entry form which the customer will mail to an address preprinted on the form. Drawings will be held in January, April, July and October from among all of the entries received by the close of the preceding calendar quarter. Note: Elementary School kids (grades 1-5) can get a Free Theater Coupon for their Satisfactory Report Cards. For more information, contact your local AAFES main store manager or general manager.